When Jim and Angelo Karagas took over operation of My Brother’s Bar, the decision to not have a sign above the door was a simple financial one: they couldn’t afford it. 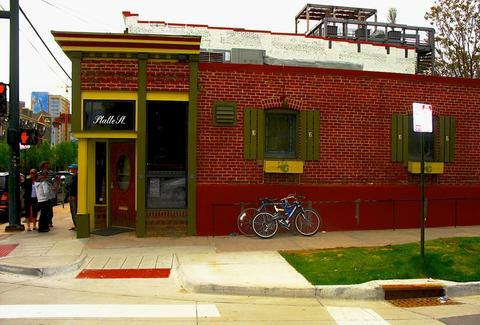 Four decades later, still no sign, because the bar off 15th and Platte is now a city institution that has been pouring booze for Beat Gen folks like Neal Cassady (who still has a tab there) and plenty of other thirsty Denverites forever. MBB also flips a mean burger -- pair that with a solid beer list, and it's no surprise this place is still going strong. This place is the OG when it comes to bars in Denver. 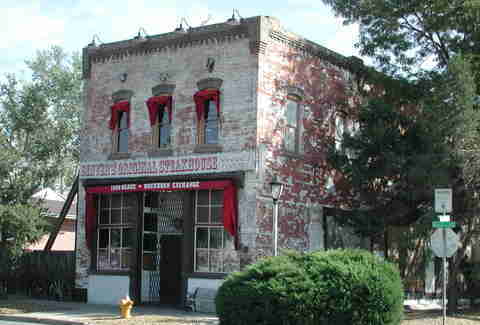 First opening its swinging saloon doors in 1893, The Buckhorn Exchange was issued liquor license number one. 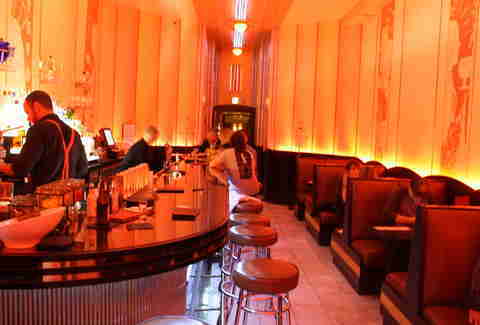 The actual bar, located on the second floor, is even MORE OG, having been hand-built in 1857 in Germany. The BE has been declared a National Historic Landmark and a Western Museum, housing close to 1,000 stuffed animals, classic 1800s fare, and drinks like the Buffalo Bill: a bourbon & apple juice cocktail that he actually drank at the BE. They also have live music every Wednesday through Saturday. You pretty much feel like you’re in the old West, minus the crippling fear of snake bites and dysentery. This fine drinkery, located in the older Oxford Hotel lobby in Downtown Denver, appears to be in the exact same style it was the day it opened after the repeal of Prohibition in 1933. The whole place is styled after a lounge room on the Queen Mary, and waitresses are dressed in flapper girl garb, which makes their legendary martinis and whiskey cocktails taste all the more authentic. The only thing really missing is a side of cigarettes. 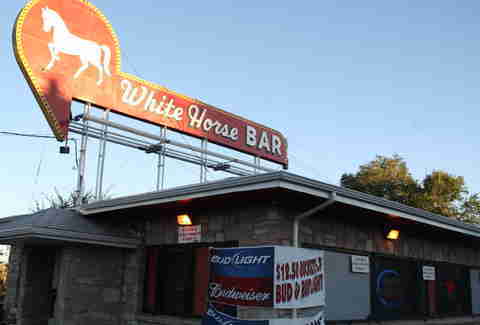 The White Horse Bar/Lounge is a Denver fossil, having been owned and operated by the same folks for over 40 years. Time has been the hardest on this dive just off Alameda and Sheridan -- at one point, the whole place was held together by actual brick and mortar. But they've recently moved towards plywood and duct tape. Still, an eclectic charm remains, and the White Horse Bar still pours the "good stuff" for cheap every day. The Nob Hill Inn, Colfax’s diamond in the rough, pours drinks the earliest and the latest on Colfax, and has probably seen the widest range of customers of any bar in Denver during its history. It’s no surprise, considering they've been open since 1954. Being so close to the Capitol, it used to pour booze for lobbyists and lawmakers, but over the course of five decades it’s aged into a true dive replete with high-grade people watching, stiff drinks, and bottled beer (try to avoid anything from a tap on Colfax). Pull up a stool next to the dude talking to himself and know that you're partying in a place where Bob Dylan once imbibed. You’ve no doubt passed this iconic establishment while making bad decisions Downtown, but the jazz club has been the stage for live music and good drinks long before most of LoDo partiers were born. 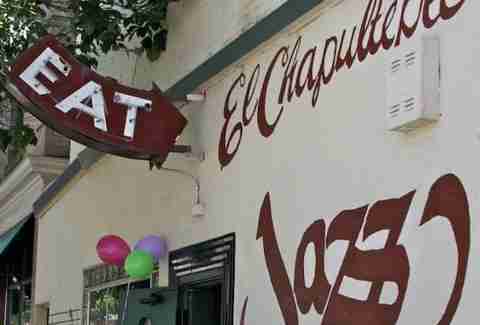 Opening after Prohibition ended, El Chapultepec has seen the biggest names in music, like Frank Sinatra, Tony Bennett, Ella Fitzgerald and Bill Clinton (seriously, he played his sax like a god here). Besides the great tunes, the bar also pours a bevy of mixed drinks and the usual suspects of domestic brews, and they dish out some tasty beef & chicken tacos. People were pretty stoked when Prohibition ended, and instead of having a couple of celebratory beers, some people opened bars like the Ship Tavern so they could drink forever. The barkeeps at Ship Tavern craft some good cocktails and pour a good selection of local brew, which can even be done "Prohibition-style" (meaning, its poured from a tea pot to disguise what it really is, beer!). The Ship Tavern also most likely served presidents and certain mop-topped rock starts from Liverpool, due to its proximity to the Brown Palace Hotel (like, in-the-same-freaking-building-close).